The STC website is now home to a library of lively podcasts dedicated to interviews with business leaders from within the cluster. 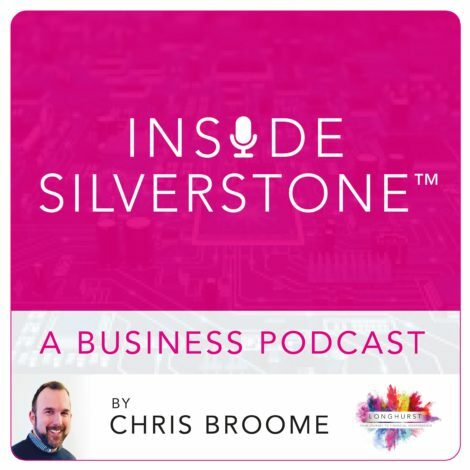 Behind them is Chris Broome, owner and chartered financial planner of Silverstone-based lifestyle/financial planning firm, Longhurst, which niches in tech and high-growth. It is also an STC member. He added: “I listen to lots of business and entrepreneurial podcasts so when we launched Longhurst we knew there was a niche opportunity to launch a podcast where I get to interview business owners and peers that I respect – it was too good to miss. Indeed the podcasts help to show another side to the STC’s business leaders. Chris continued: “I ask each of them for their most embarrassing memory whether in business or not. Everyone’s been a good sport and shared some funny stories from spraying a packet of Twix in a court session to getting shoved in the mud on sports day in a wheelbarrow moment! Click on the names below to hear the podcasts so far with Chris (and leave a five-star rating)!